He was right. Ask most people what they think about when they hear the word learning and the responses will center on school, homework, seminars and training formal and prescribed. Traditionally, learning and the application of what has been learned have been considered distinct events, usually occurring at two different times. 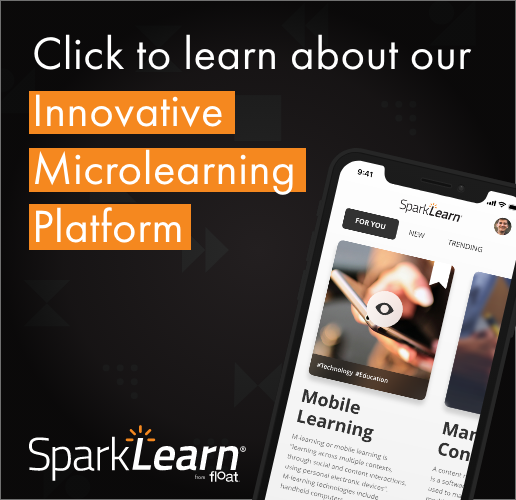 However, advances in technology and today’s mobile devices are creating many situations where learning and applying what has been learned can happen simultaneously. Take, for instance, the book Eat This, Not That, by David Zinczenko and Matt Goulding, which compares the number of calories in various food choices. It is an Interesting book and an interesting idea. But how often will you have that book with you when you are standing in line at McDonald’s® trying to decide what to have for lunch? Typically, you would have to remember what you had read the night, week or maybe even a month before. But, having access to this information on a mobile phone is with us all the time and easily accessible is much more practical. Most would consider reading a book on how to eat healthy a learning endeavor, yet would they consider accessing the same information on their smartphone learning as well? The point is, technology is helping us make learning more contextual and at the time of need. Zite is a new iPad app that is a personal news aggregator. It selects news articles from around the world based on user preferences and then improves suggestions by tracking the user’s reading patterns and looking for additional content that matches those patterns. Take this concept a step further and suggestions could be based on the time of day. For instance, in the morning over a cup of coffee, I may want to catch up on general news (local, state, national, etc.). Over lunch, I may be more interested in reading technical publications that relate to my job and in the evening I might be more interested in entertainment news. If I travel, the news could automatically be customized to provide key happenings in the city I am visiting. Another form of learning is keeping people informed when the time is of the essence. Think of tsunamis or tornados; events that are devastating and that can occur quickly, seemingly out of nowhere. There are amber alerts to notify people of child abductions. Communicating imminent danger quickly and efficiently can save lives. Try this exercise over the next couple of days. As you go about your daily tasks at home and work, pay attention to the information you gather and also the information you use. How far apart are the gathering and use of a particular piece of knowledge and then consider if there is a way to close that gap? Is there some way using today’s mobile technology to provide the information more directly at the time of need? For example, I have recently been trying different task list programs for my mobile phone. These programs can sort to-dos by priority, due date or some other property and virtually all of these programs can signal reminder based on a date or time of day. But for me, a valuable feature would be to prioritize my tasks or send reminders by location. If I am in the grocery store, I need not see a list of all the phone calls I need to make, but it might be nice to get a reminder I need to pick up a prescription next door at Walgreens. By thinking of communication and learning as more synonymous, there become many more ways to integrate learning into your company or organization, providing numerous benefits in terms of productivity, accuracy, and efficiency.